Hopefully bordering the Royal Duchy of Xeilias; Saorsa is lead by Queen and Duchess Violet. Saorsa is a place of very diverse Counties that intend to be self-sufficient while working together to benefit Saorsa as a whole. The Count(ess)’s of the Duchy are not only diverse in focus but have a strong bond that allows for them to work closely together with one another enabling strong connections for trades, contracts, exchanges, teachings and more. Some Focus’ of the Duchy as a whole will include: Medicine, Alchemy, Arts (Theater, Music, Bardic, etc. ), Research, Agriculture, Animal Husbandry, Military, Trades, and more. Upon early morning of the early spring, the leaves lightly frosted from the long winter soon to be thawed. The love birds chirping within their beautiful golden cages welcoming the dazzling sunlight through the curtains. The sun’s warmth embraced everything that it touched across the kingdom of Alésia till it slowly crept upon the lands of Saorsa. 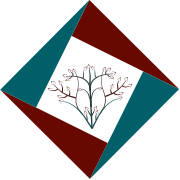 Saorsa, the duchy of the Queen Consort of House Winterlynn, where she rules with strength and compassion, shackled to the throne by the love for her subjects. As the sun reaches its rays across further, it gently touches each house, shop, and barrack that lies within the counties, making its presence known and bringing warmth to erase the frost kissing each building. Whether it be the homestead of a farmer or the mansions of the nobles, the sparring warrior or the baker - the people slowly rise with the approaching light. The Grand Academies of Saorsa, located in the capitol, are schools for scholars and those wishing to learn, casts long shadows as the sun makes its ascent over the horizon. The students, despite the early hours, always eager to learn of medicine and alchemy, both practical and in theory, rise to do their due diligence and become the pride of Alésia. Helping them achieve this lies heavily on the Garden and Library of Saorsa, whether it’s to obtain knowledge to help them in their studies or harvesting medicinal plants and herbs for new concoctions..
As for every scholar, with the Saorsan scholars being no exception, the strive to learn more of the world is ever-present. Once they graduate to become meisters in their fields, they set out seeking more knowledge to house within the Library and to elevate their chosen professions to new levels. An endless pursuit, forever beckoning. Once the gloom of night fades further, throughout the lands the sounds of pickaxes and the roars of foremen breaks the silence, the duchy truly wakes up from its slumber. The citizens flooding the streets, the nobles scribbling at their desks and the merchants turning a profit, so too does the fantastical beasts at a zoo roam. Their mewling, cackling and roaring making their handlers smile with joy all the while they serve to protect, preserve and learn from the fauna of the land, whether native to Alésia or foreign. The doors of establishments open up along with the creaking of carts. Adventurers and travelers having their first hot meal of the day while exchanging information and coin in the taverns and inns before heading out to continue their journey. Their destination unknown but always welcomed back should they need a good night’s rest. Perhaps one of their destinations is one of the famous apothecaries or alchemists, whom in the true spirit of science, work meticulously and without delay to find cures and to heal those falling ill. Restless in their pursuit of understanding the world they live in. The Saorsan flag sways gently in the wind, a comforting sign of protection, of being cared for, of justice and law as hooves barrels down the cobbled stone roads, a cavalry with one decree; Make the enemy but a fleeting memory. While the watchmen, whose purpose is to keep you safe during your journey, stand vigilant and ever-present. Life in Elyria may not be easy but those of Saorsa pride themselves in helping others, being there for each other even in the worst of times. Just like the spring sun, thawing out the frosted leaves. Most of our county leaders appear to be interested in plains and forests but also desire rivers and mountains. Due to the tribal constraints of the nobility, we will be seeking the thoughts and opinions of our citizens and using that to help drive our duchy’s domain selection process. My name is Violet, I have been gaming since I was very little across various platforms. I have played games ranging from anywhere between shooter to mmos to mobas. I have a small family in real life but I also consider my duchy to be an extended family to me and there’s always room for more to join. I would like to have the players the ability to play as they please with as much flexibility as we are able to. There will still be taxes, laws, kingdom laws, and the like to ensure that there is as little griefing as possible to allow the players the free range they wish to do with their souls. Currently I play a variety of games including PUBG, WoW, LoL, HotS, CSGO, OW, and a ton of other games with the community and the community plays a ton of games as well so don’t be shy in suggesting or asking people to play anything. 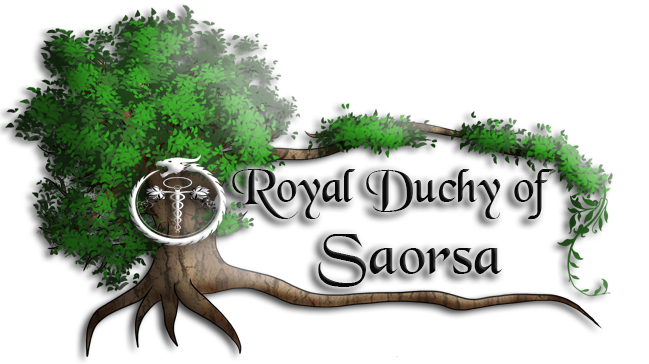 The Duchess is the top authority within the Duchy of Saorsa. She delegates by appointing members to The Ministry and by creating new roles as necessary. The Duchess has the power to make executive decisions and veto decisions made by The Ministry. As Second to the Duchess, the second provides advice on all matters, acts as a representative of the Duchess at the People's Court, and makes duchy level decisions in the absence of the Duchess. The Third to the Duchess provides advice on all matters, acts as a representative of the Duchess at the People's Court, and makes duchy level decisions in the absence of the Duchess and The Second. Oversees the dispersing of information about laws throughout the duchy. Delegates enforcement of duchy laws and oversees the courts handling duchy-level infractions. Reviews laws created by counts to ensure they adhere to duchy and kingdom standards. In charge of gathering taxes from counts and delivering taxes to the crown. Allocates funds to the various advisors to fulfil their needs. Searches for discrepancies and errors to ensure duchy funds are being put to good use. Also pays individuals directly employed by the duchy. 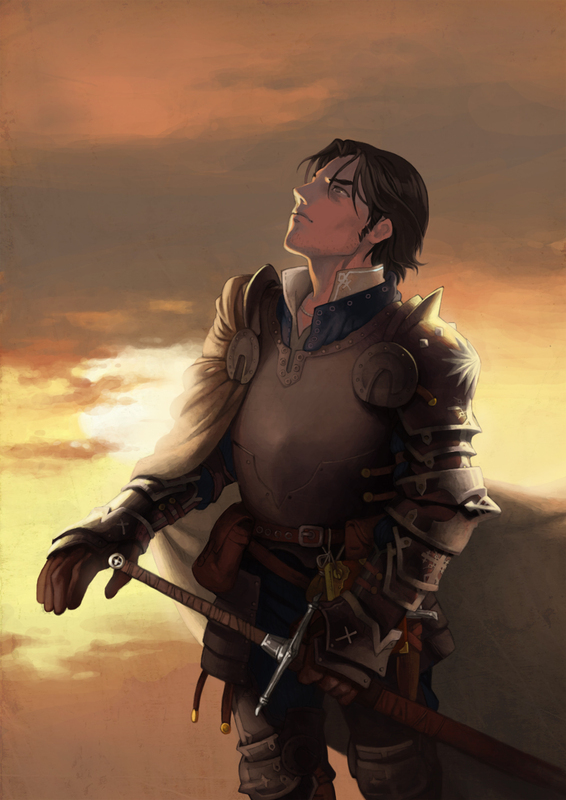 Oversees the coordination of procurement, shipping, and storage of necessary supplies and equipment for the duchy. Manages the ducal military by overseeing recruitment, training, logistical support (housing, food, gear, supplies, etc). Organizes duchy defense and coordinates with the Kingdom-level military head in wartime. Oversees the Barons to ensure their outposts and troops meet duchy standards. Handles our amazing Roleplay community within the duchy and encourages the Roleplay community within the game as a whole. Creates and maintains roads and waterways between counties and to other duchies. Allocates materials from duchy-owned sources to complete duchy projects for other advisors. Recommends laws to prevent the depletion of natural resources within duchy borders and oversees their enforcement. County Leaders oversee their specific domains with semi-autonomy. They have the ability create additional laws within their respective counties, (provided they do not conflict with ducal or kingdom law), administer their counties in the manner they see fit, and they also oversee tax collection for the county. They are responsible for gathering taxes and delivering them to the duchy coffers, as well as providing any protection required. The members of the court are required to be aristocracy or untitled and cannot hold a count(ess) title. Each county will have two representatives that will be named as members of the court. [Even if the count has multiple county pledges, only 2 representatives will be authorized]. The Second and Third to the Duchess will be allowed to attend meetings of the people’s court and will act as a communication avenue for the Duchess within the court. They will not have the power to make a decision for the Duchess at the court and will be required to relay concerns, recommendations, etc. held within the court meetings to the Duchess. The Duchess will attend said meetings if/when required to. Within the Capital of Saorsa I hope to have 2 Grand Academies which have yet to be named. One will house Medicine Research as the other will house Alchemy Research. It will also have a very large Green House Garden. Within the County Capital it will have a Grand Library that will be one of our research and knowledge facilities that will also work to teach medicine and any specialty the Meisters desire around the duchy in hopes to spread throughout the kingdom. Expect to see some good stuff coming out of Saorsa! Some wonderful people in here already and I don't doubt that will only continue to expand. More then glad to call it home =). Can't wait to see just how far we as a Duchy can go! Lovely people and a bright future. is there a discord? I just brought my pledge and will soon buy the upgrade for alpha2 id like to make either an adventure/trader since they seem to be the one that lets you explore the land first but I also wish to start the char as a teen.